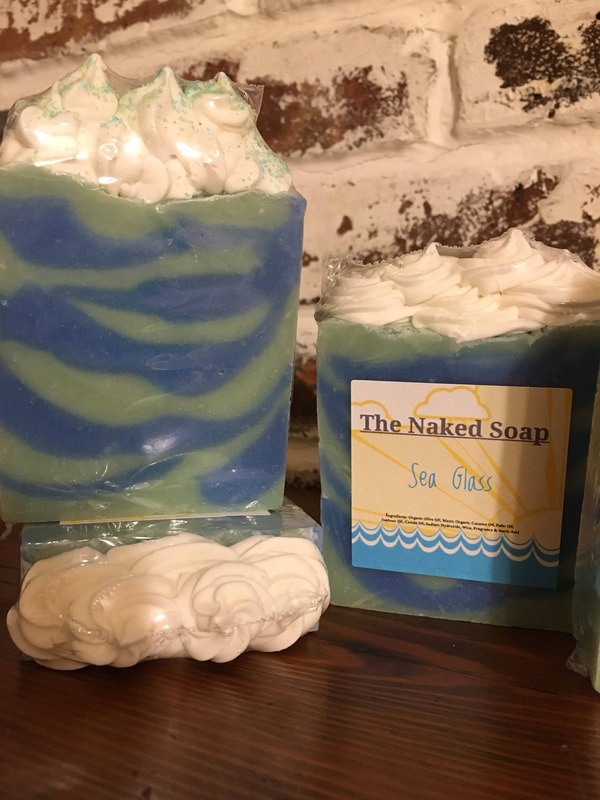 Sea Glass Soap has the fresh clean scent of sea water, fresh air, sparkling citrus and soft woods. This one is a best seller! Products can contain ingredients, essential oils and fragrance oils that can trigger allergic reactions. All ingredients are listed for this specific reason. If an allergic reaction or rash occurs, please discontinue use and consult your physician. 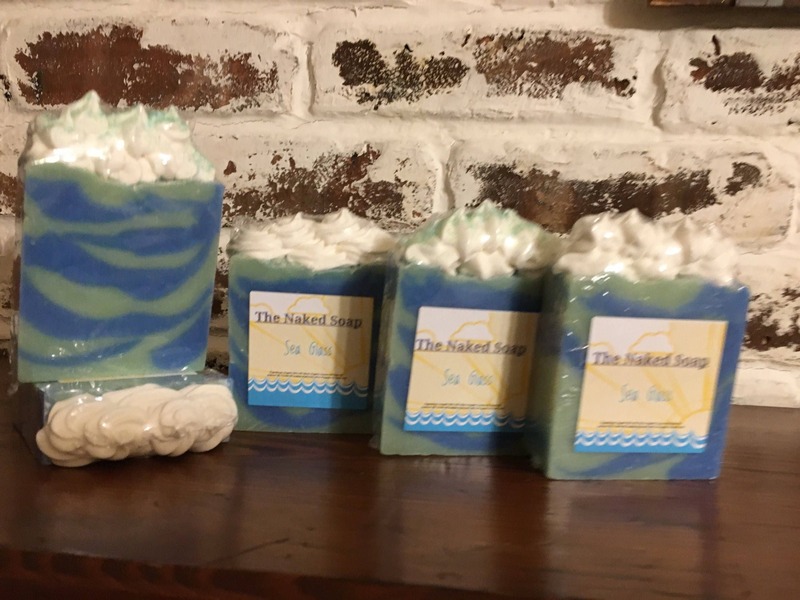 The Naked Soap is not responsible for any reactions. If you have skin sensitivities and/or allergies please test in a small area of your body first. We will not be held responsible for any allergic reaction, skin sensitivity, and/or irritation. Some products contain nut and tree nut oils such as, Almond Oil, Shea Butter, etc. these may not be recommended for people with nut allergies. 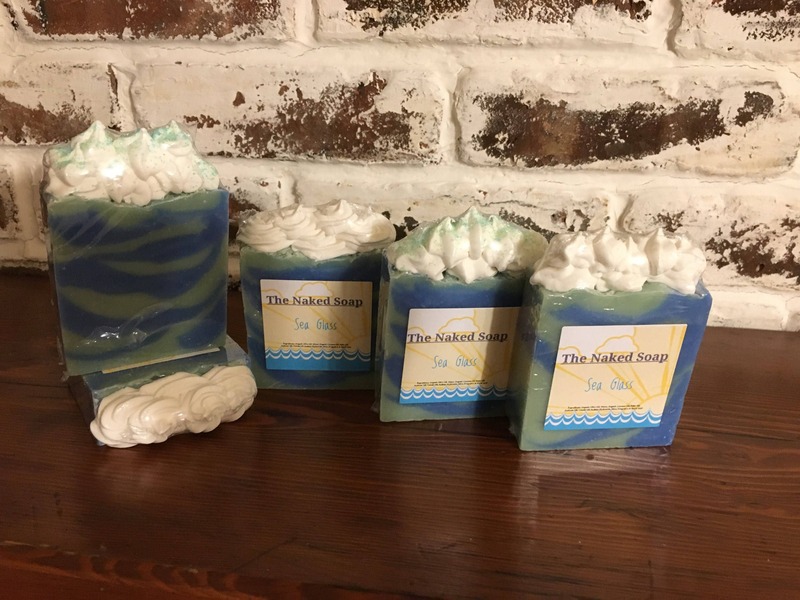 Products are scented with fragrance oils or essential oils. Please be informed about which essential oils may affect your body and any medical issues you may have. 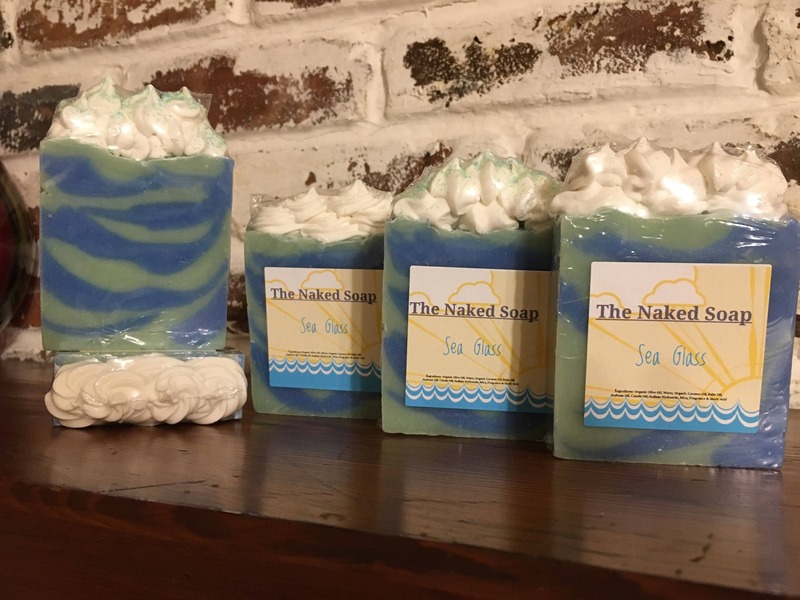 The Naked Soap recommends using it's products within 12 months of purchasing, unless otherwise noted differently on label.